Lead, Nickel & Cadmium Free! 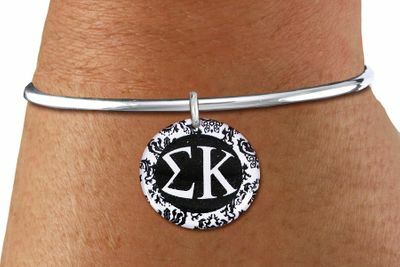 Bracelet Suspends Your Choice Of A Black And White Greek Letter Sorority Disk Charm. Comes On An Adjustable Solid Wire, Screw Ball, Open Bracelet. 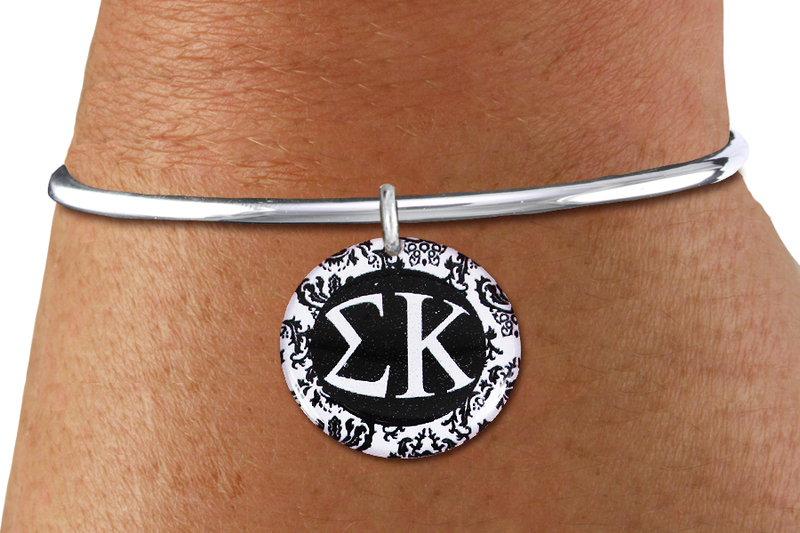 Scroll Down To Pick Your Sorority Charm In The Drop-down Menu Below. a Charm Measures: 1" Diameter.